It’s now 6 years ago that I decided to travel again to Tibet, after being there for the first time in 1997. 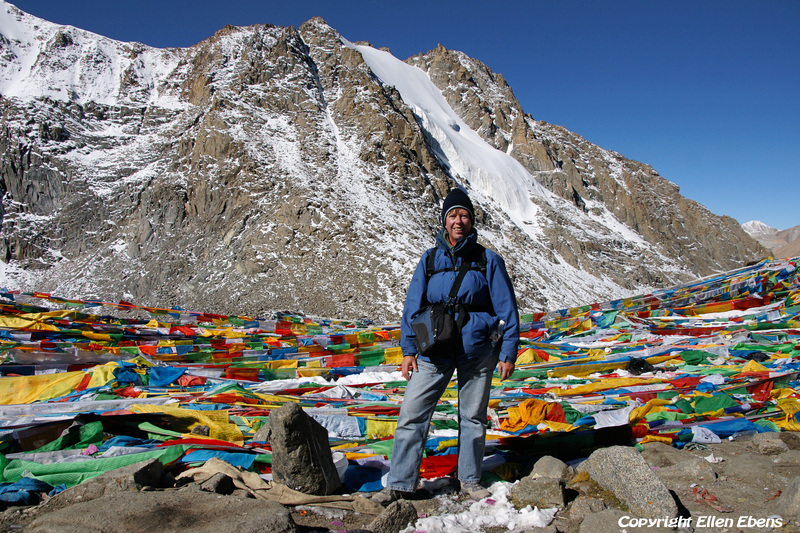 I saw a great trip to Tibet, including Western Tibet and Mount Kailash from a Dutch tour operator. Included in the trip was walking the kora around the holy Mount Kailash. I had doubts. It seemed a great trip and kora to me. But could I do this kora? Walking in 2,5 day around this mountain and at a high altutide. I wasn’t sportive at all. But I booked this tour and thought I will decide if I walk this kora when I’m there. I can always stay behind in the guesthouse in Darchen and let the group go without me for the kora. But after I booked the tour, I immediately started making long walks in a nature park in the vicinity of my home. I wanted to get some walking condition. I said to myself, that I must be able to walk a trail 20 km easily. And looking back I must say, that was the right decision. Because that first time in 2010 I had a very good kora around Mount Kailash. It was less heavy then I thought. Not that I was not feeling very tired after every day of walking the kora. But I liked it so much!!! The barren landscape around Mount Kailash, the Tibetan pilgrims who also did the kora. You being on your own doing this kora. Alone not in the sense of physically being alone. I was part of a group. But you must do the hard work of walking the kora all by yourself. That means also that you are alone with your thoughts in this miracle barren landscape of Mount Kailash. It’s so beautiful! And you feel the magic and the holiness of this sacred Mountain. I recognise that it had a great impact on my life and on my feelings. Mount Kailash did this to me. As did Tibet and the Tibetan people in general. So in 2011 I decided to do this same tour with the same Dutch tour operator (called Koning Aap) again. For the second time I walked the kora around Mount Kailash. And it felt as special as the year before. In 2012 I walked the kora around Mount Kailash for the third time. This time I arranged my trip private with my Tibetan contacts. And I travelled with my brother and a good friend. The three of us did the kora around Mount Kailash together en enjoyed it very much. We felt very privileged being able to travel to Tibet that year and do the kora around Mount Kailash because there were al lot of restrictions in 2013 to get the Tibet permit. So that year there were not a lot of foreign tourists in Tibet. On this website I publish today photo’s of my three kora’s around Mount Kailash. In the text with a picture I mention the year when the photo was made. One day I hope to see Kailash again! Nice story. I too have great memories about our kora in 2012. I still feel glad being part of this great experience.